Bollywood actress Soha Ali Khan’s wedding with Kunal Khemu is going to be held on January 25, 2015. This 36 year old actress says her wedding will be at home and also simple. There are just two days for her marriage since now, and she still planning of her wedding dress. 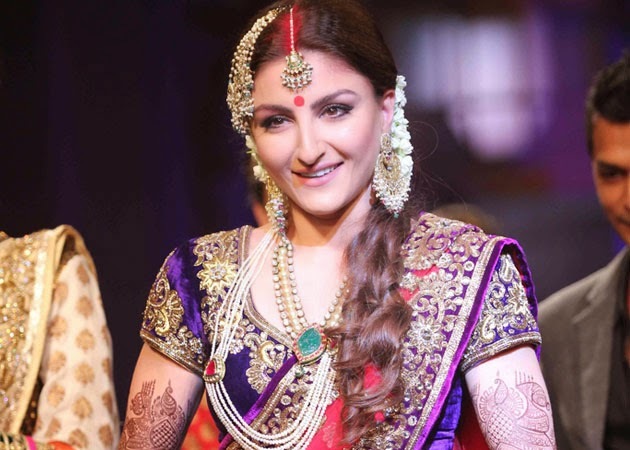 Soha Ali Khan said, "There are just few days left for my wedding. I am very grateful that I have my mother, my sister and friends, who are telling me what I should wear. I am thoroughly confused about which color I should wear. But I have finally decided on my look. It's a simple wedding at home. But I think it should be memorable and special. And I will be dressed for the occasion. In 2014, Kunal khemu proposed marriage to Soha Ali Khan in Paris and they were living-in-together in the 9 crore house gifted by her mother. Soha shared the proposal news to her fans in Twitter "It gives me great happiness to share with you all that Kunal proposed to me in Paris with the most perfect ring in the world and I said yes".